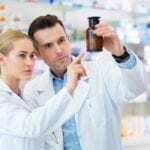 The fast-changing pharmaceutical industry demands a lot from licensed pharmacists who must keep up with the growing list of medications and other administrative duties. 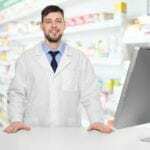 Pharmacists rely on their pharmacy technicians to manage routine tasks associated with dispensing medications, so they can tend to those tasks that require their professional judgment. 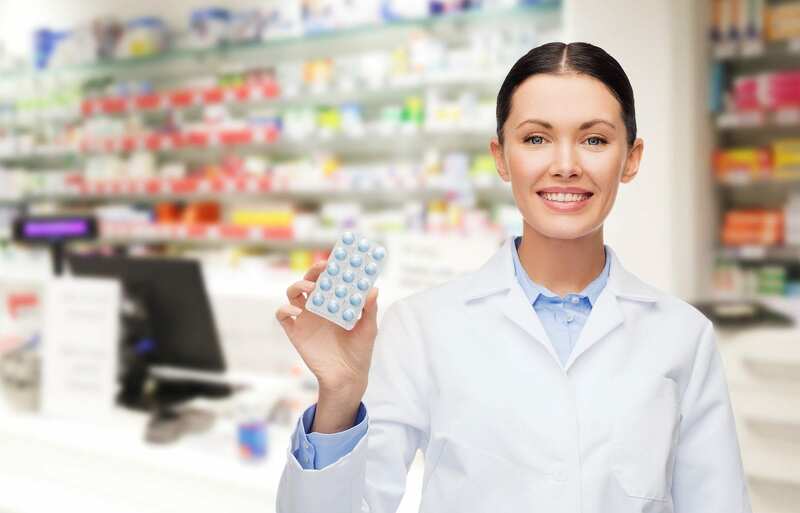 Pharmacy technicians can be found in every pharmacy in almost every neighborhood. They assist customers by answering routine questions and dispensing medications and prescriptions. To succeed on the job, pharmacy technicians must be accurate, skilled, and detail-oriented. Pharmacy technician training prepares students for the all-important role. They learn all the major categories of medications, inventory management, processing drug orders, and pharmacy ethics. Additionally, the program will cover interpersonal relationships, professionalism, and administration. If you want an exciting career in the world of pharmaceuticals, consider the Board approved programs in Boston, MA. The Pharmacy Technician training at Lincoln prepares students to become trusted healthcare professionals. Experienced, PTCB certified instructors teach students how to dispense medications, conduct pharmaceutical calculations, and compound medications. In the skills lab, they can practice filling mock prescriptions, fill capsules, label medications, and use the electronic balances. Apart from in-classroom lectures, students also have opportunities to participate in a clinical experience in the field to develop the tools needed to become a successful Pharmacy Technician in a short space of time. The curriculum offers 720 instructional hours that students complete in 33 weeks for the day program or 48-50 weeks for the evening program. Course modules include Pharmacy Systems, Dosages and Calculations, Therapeutic Responses to Medications, Medical Ethics, Safety and the Law, Pharmacy Technician Practical, and Pharmacy Clinical Externship. Tuition for the program is $413,889 plus $622 for books and supplies. The pharmacy technician training program at JVS Boston prepares students to pass the national certification exam for pharmacy technicians and begin a career as a competent health professional. The full-time program runs for 12 weeks and includes 114 hours of clinical experiences at CVS. Classes meet four days a week from 9 am to 3 pm. Applicants must attend an information session at JVS Boston. Students must be able to communicate well in English and possess a high school diploma or GED (recommended). Graduates receive job placement assistance. A blend of classroom and practical learning experiences at Bunker Hill College prepares students to play a supportive role to licensed pharmacists. Graduates earn 16 credits and receive a certificate of completion that grants them eligibility to take the national certification exam. They can also apply to the Massachusetts Board of Pharmacy for licensure as a pharmacy technician after earning 75% or more on the Board exam. Topics covered include packaging of drugs, inventory control, customer service, pharmaceutical calculations, pharmacy operations, and pharmacology and pharmacy law. The clinical externship covers 150 hours of practical work in a licensed pharmacy. All students must undergo a Criminal Offender Record Information (CORI) check for placement at the clinical site. Tuition for the 15-week program is $2,256 plus $119 for books and supplies. Spectrum Healthcare Training Center hosts a Pharmacy Technician program that prepares students for success in the growing field of pharmacy. The curriculum requires classroom and laboratory instruction in the areas of pharmaceutical calculations, pharmacy technology, essentials of pharmacology, pharmacy law and ethics, pharmacy practice, interpersonal communication, and medication administration. Graduates will be prepared to take and succeed on the National Pharmacy Technician Certification Examination (CPHT). Applicants must have a high school diploma or GED and no felony convictions. Morning and evening schedules are available. The day schedule covers 32 weeks and the evening class is 40 weeks. Middlesex’s pharmacy technician course gives students the skills and knowledge needed to practice as a pharmacy technician. The curriculum covers 60 hours of instructor-led lectures in the classroom followed by 80 hours of externship in a real-world pharmacy setting. Graduates will be prepared to take the national certification exam to become PTCB certified. Course topics include pharmacy law, pharmacy operations, medical abbreviations, pharmacological calculations, interpreting drug orders, the top 100 prescriptions, routes of administration, and medical dosage forms. The externship provides opportunities for students to interact with a licensed pharmacist and other employees in a health care setting and reinforces the values taught in the classroom. A career development review, including employer expectations and interview strategies, will also be covered in the classroom. Applicants must have a high school diploma or GED, a state issued ID, and complete the mandatory CORI/SORI check. Classes meet Tuesday and Thursday from 6:30 pm to 9:00 pm. Tuition for the program is $1,299. North Shore Community College facilitates a pharmacy technician program that includes 50 hours in the classroom and a clinical externship. Course content includes the history of pharmacy, pharmacy calculations, and measurements, defining drugs by generic and brand names, drug classifications, reading and interpreting prescriptions, medical terminology, and pharmacy practice in multiple settings. Students also learn IV flow rates, inventory control, handling sterile products, dose conversions, total parenteral nutrition, and sterile compounding. To participate in the clinical externship, students must submit to the background check (CORI) and drug screen. Enrollment requirements include and passing score on the reading comprehension and mathematics assessment and proof of immunizations. The optional PTCB exam is not included in the program cost. Other board-approved pharmacy technician programs in Boston, MA.